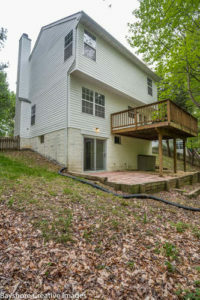 Home » Listings » 2490 Woodland Ct. Stunning, fully renovated colonial located in highly sought after Richfield Station. Home offers the most beautiful finishes.Kitchen boasts gorgeous, white-marble waterfall counters, S.S. appliances, subway tile back-splash, bay window, and french doors to deck/fully fenced-in yard. Enormous, master BR with elegant en suite bathroom, vaulted ceilings, and walk in closet. Fully finished basement.